"The coast of virgin islands"
On this coast of the North-West also called Coast of Virgin Islands, the sea and the climate are favorable to the navigation of pleasure almost all the year, except perhaps of the months of February and March where the grains arrive to be quite violent . The operators are professionals who know their region and their sea thoroughly, and their fleets of monohulls or multihulls from 10 to 20 meters allow to accommodate from 2 to 8 people. These same operators are aware that the seaside-discovery combination is one of the best assets of destination Madagascar. Hinterlands are often included in the program, and specialized recreational activities such as diving or sport fishing can be augmented by rivers in the heart of a mangrove forest, stops at lost sites, or encounters with populations with several centuries traditions. This is the case, for example, of a loop route that includes Nosy Mamoko, its fishing village, dense forest and waterfalls, Kisimany, where every year a dhow from Zanzibar comes to stock shark oil to the Russians bay. On the Radama Archipelago still little visited, experienced divers devote themselves to their passion of preference from May to November at depths ranging from 50 to 180 ft. Among the "stages", after a first test dive in Tanikely, the names of Kalakajoro, the main diving base of the Radama Islands, Greg Wall, a site very sought after for the diversity of its fauna and its submarine flora, Black Wall, its impressive black coral forest and pelagic fishes, Nosy Valiha and the Kivinjy Sugar Loaf. In the Mitsio Islands, the temperature of the water varies between 77 and 86°F. The names of the spots are more familiar to them to mention only the Pinnacles of the Tetons, the Great Organs and Ankarea Point, Castor Showl, the Four Brothers, or the Bank of Unicorns. 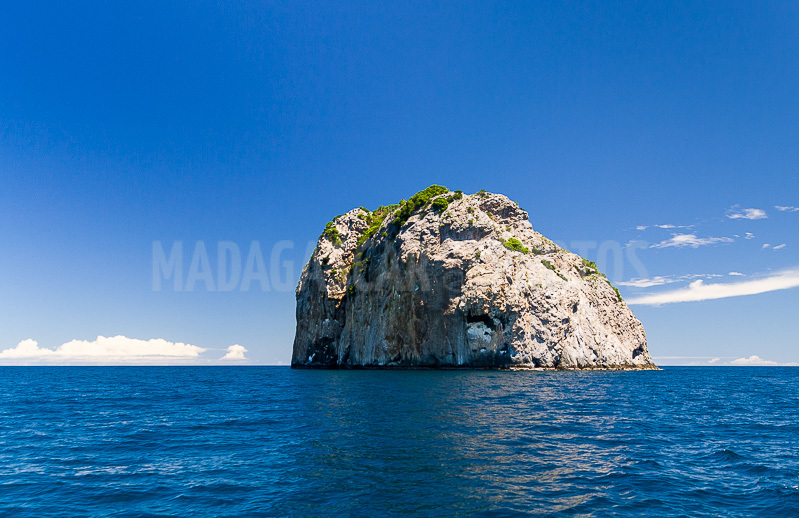 The Fauna here is one of the most varied of Madagascar and presents a wide range of species of all sizes of the whale shark harmless to the smallest forms of life, passing by the manta rays and turtles. Ankara and its basalt cliffs are just 5 miles west of the Great Mitsio, and the Four Brothers to the Northwest of Tsarabanjina. Monoliths to the smooth walls forming a quadrilateral emerging from the surface of the sea. Here the brown fools do not hesitate to fly over the boats when they do not engage in one of their favorite exercises which is to sting on the water at a dizzying speed. The Mitsio at 45 miles northeast of Nosy Be, a volcanic archipelago consisting of a main island, the Great Mitsio, and a dust of small islets. It is possible to quickly reach them in speedboat, but it is otherwise more pleasant to give time to the comfort of a catamaran! To the east of the Great Mitsio, near Nosy Toloa and Nosy Kely is located Tsarabanjina the beautiful. Sacred land of the Sakalava, it concentrates on twenty hectares its luxuriant vegetation and its pristine beaches. In the rocks there are several species of birds, including frigates, water chickens, cormorants, and especially the very rare eagle or "ankoay", an endangered predator.